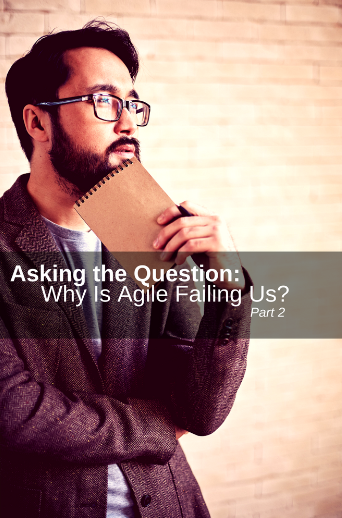 In my last blog post, Asking the Question: Why is Agile Failing Us? 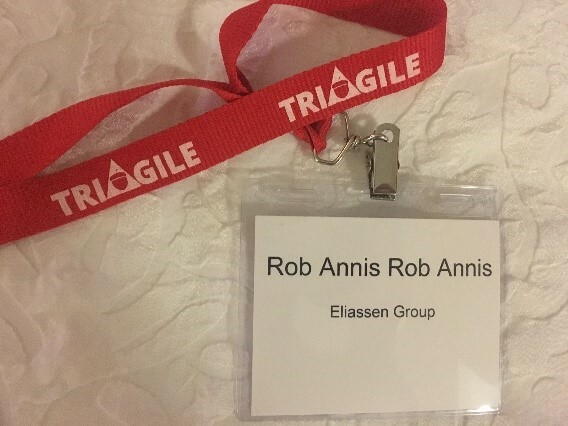 Part 1, I set the stage for the presentation I recently gave at the TriAgile Conference in Raleigh, NC. Given this highly charged topic that I had selected, the day of the conference dawned and with trepidation in my heart, I prepared for the event. Picking up my name badge at the entry way had me wondering if I was hexed already, since I was listed as ‘Rob Annis Rob Annis,’ perhaps so that I could easily be identified for the pitchfork-carrying crowd as it hunted me down afterwards. I arrived in the conference room to see that all the seats were taken and indeed there were another 30 or so standing in the back. I realized I was both happy and nervous. My intention with the topic was not to be divisive merely for the sake of being contentious. I wanted to enable discussion; to allow that Agile isn’t perfect and that we should question it and keep looking to improve it. Continuous Improvement is part of Agile and should also be how we treat Agile. I suppose this was how I approached it. Those who know me would probably not be surprised. Agile is very successful at delivering projects when followed well. To do this we must recognize that Agile is not a process; Scrum, Kanban and Waterfall are processes. Agile is a set of principles and values and when we follow Agile along with a process we have a good chance of success. However, I don’t necessarily believe that the Agile Manifesto helps us manage Agile well. As I said, I think it helps us deliver agile projects well, but not overall Agility as a concept. Indeed, it doesn’t really speak to that. This led me down an inescapable but shocking path; I had to re-think the Agile Manifesto. To be clear, I am not one of the original signees to the Manifesto and hold no ownership or rights to it. Nonetheless, as the Director of an Agile Training group I am an avid Agilist. I figured why not give it a go, so I decided to use a pile driver. That is, whilst it is easier and sometimes more comfortable to do the items on the right, I will strive to focus on the left more as they deliver more value. I recognize that this thinking may put the cat amongst the pigeons as it were, but I merely wish to help push the conversation forward, start more discussion and critical thinking. For Agile to keep succeeding it will need to evolve and grow. We can’t remain stagnant. If we truly admire and respect the agile concept, we should look to use Continuous Improvement (CI) and continuously improve it. This manifesto is merely my way of trying that. Please feel free to use it, change it etc. Or even just reach out with ideas – I welcome the discussion. I started out with the question, ‘Why is Agile failing?’ I think that the failure is that it could be much more successful than it is; this is my thinking behind my manifesto. I don’t believe we are pushing Agile to the level where it is reaching its full potential and as the practitioners we are the ones who own it and should be pushing it. If we don’t, the question in the future could be, why did it fail? Do you think Agile is faling? What are your expereinces with Agile? Please share your thoughts with us below or contact us at agileinfo@eliassen.com to speak with one of our agile experts today!